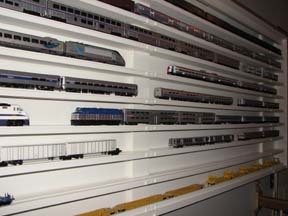 My American train collection requires a lot of display space. 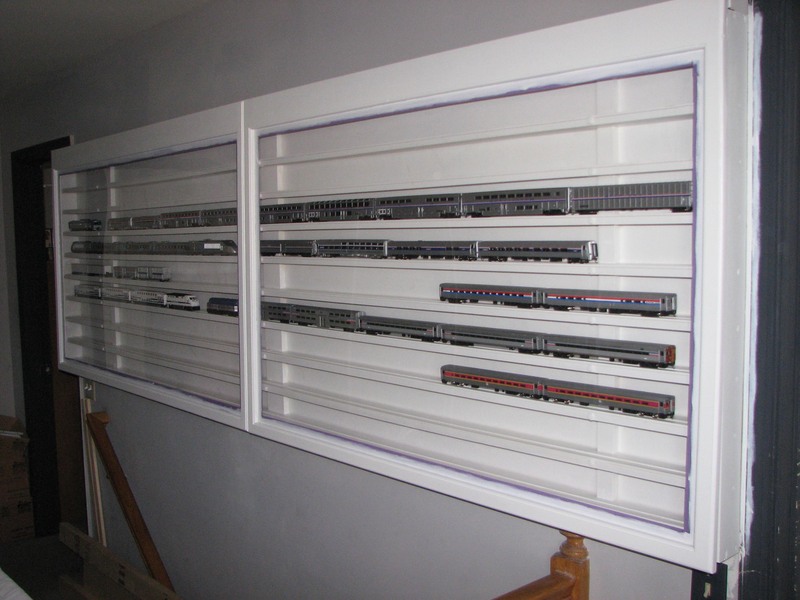 The 6 display cases I made earlier ( see display case article 2 ) do not provide sufficient space to display all the model trains with a great view. 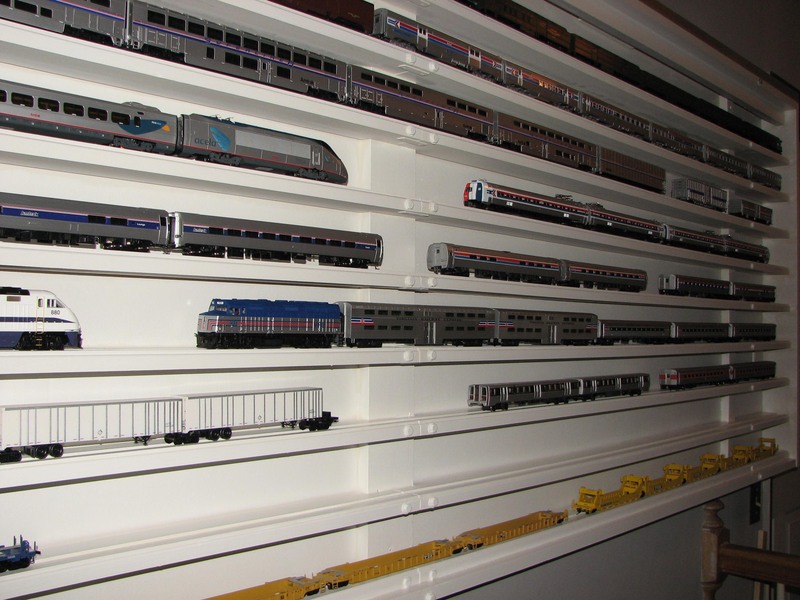 Secondly the train models can only be placed individually and a consist can not be displayed. 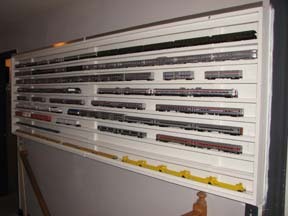 My wish was to have a long display case that allows me to place long train consists lengthwise. 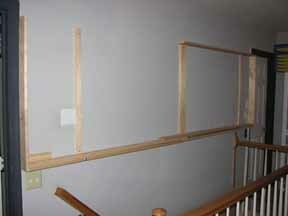 There is only one wall left unused, where my display cases are located, but with a little problem. 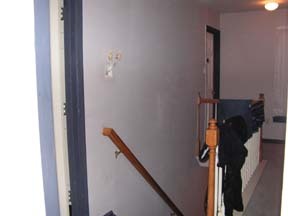 It's located above the stairway. A standard display case will have to be hung or mounted to the wall, and this will be a tough one man job, so I came with a different solution. 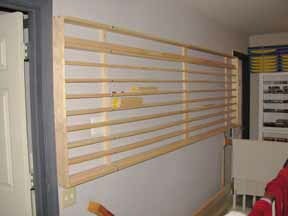 Instead of a standard build display case I build this display case directly on to the wall. Although build in sections, it is still possible to be removed as one unit, when needed to, by means of removing all long bolts which go into the wall studs. 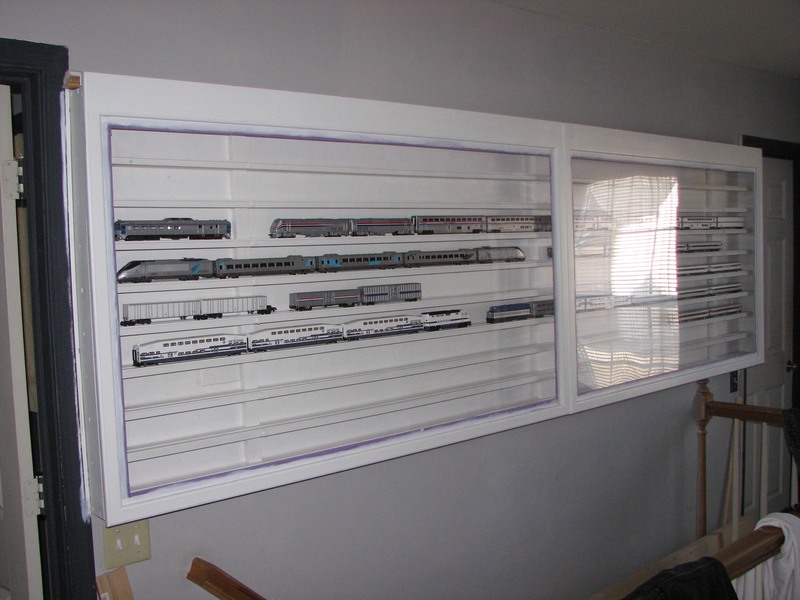 Because of the long length I have made two windows for this display case. 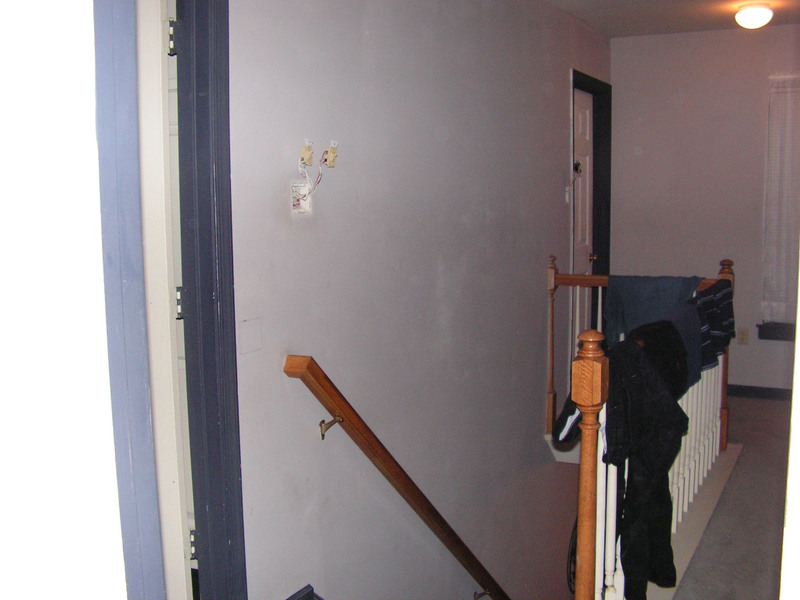 Because of the location above the stairway, it is unpractical to open the windows to either side or tilt them up. I have made the windows removable by hanging them on a aluminum angle and secured the bottom with magnets. The result is that the windows match the doors of the other display cases in the room, so it all looks the same on the outside. 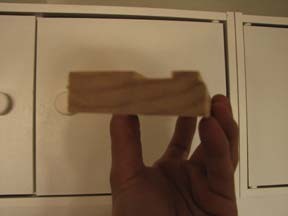 To save money on track I milled 16 millimeter grooves in the wood for the wheels of the trains to roll in. This also keeps the train consists nicely in place. 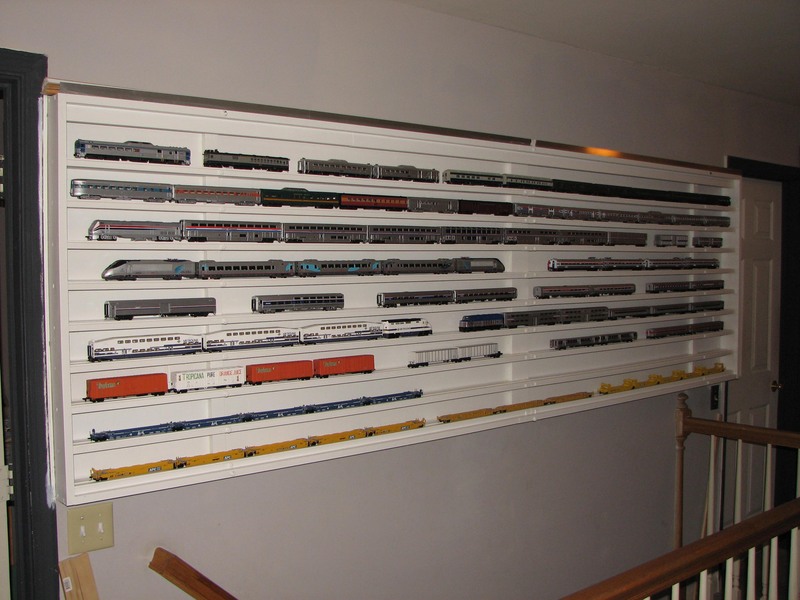 This way I can add and remove the train models on either side of the display case, since most of the display case is located, and therefore not as easy accessible, over the stairway. 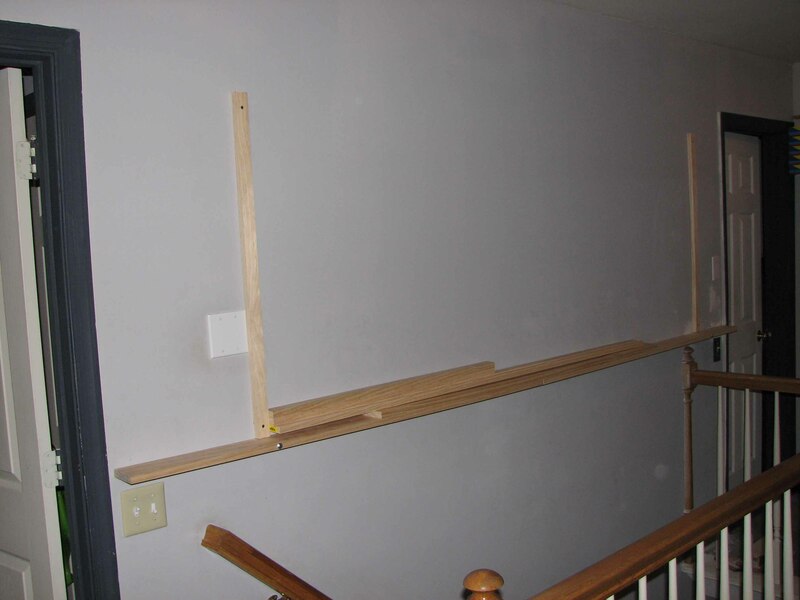 To build this display case I made a temporary "bridge" over the stairway, so I can easily access anything during construction. I also needed to modify the wall by relocating the light switches on each side, in order to provide the maximum length of a little over 10 feet of space for the display case. 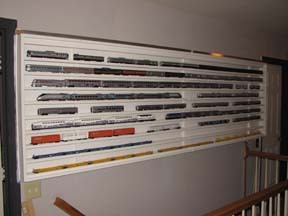 With a total of 9 shelves this gives me over 90 feet space for the trains. 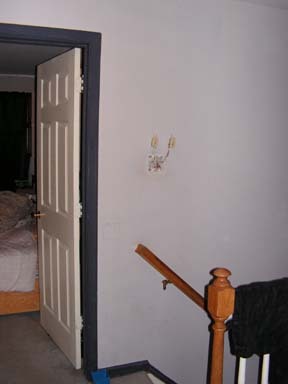 The location of the display case: Above the stairway between two doors leading to the bedrooms. 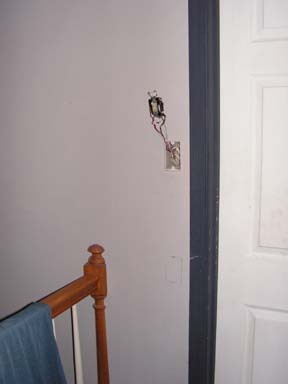 However the light switches have to be relocated to provide more space. 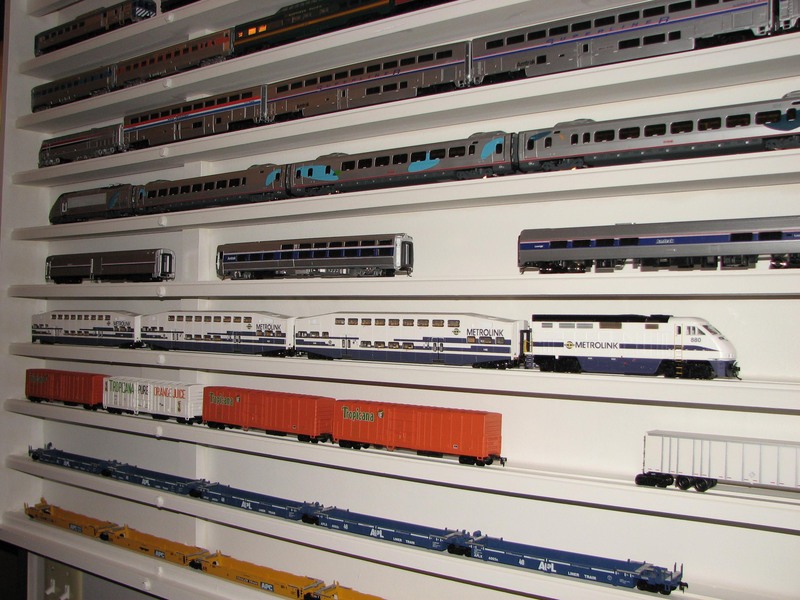 At first I was going to relocate the light switches closer to the doorposts on the same height, but by placing them lower I was able to use more space for a longer display case and therefore more trains can be displayed. 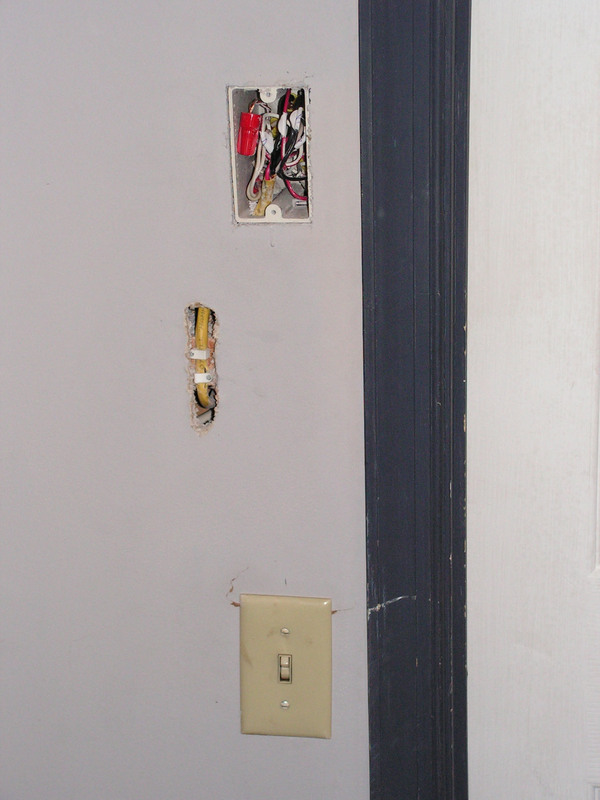 Relocating the switches at the left was no problem, but at the right side I ran into a small problem. 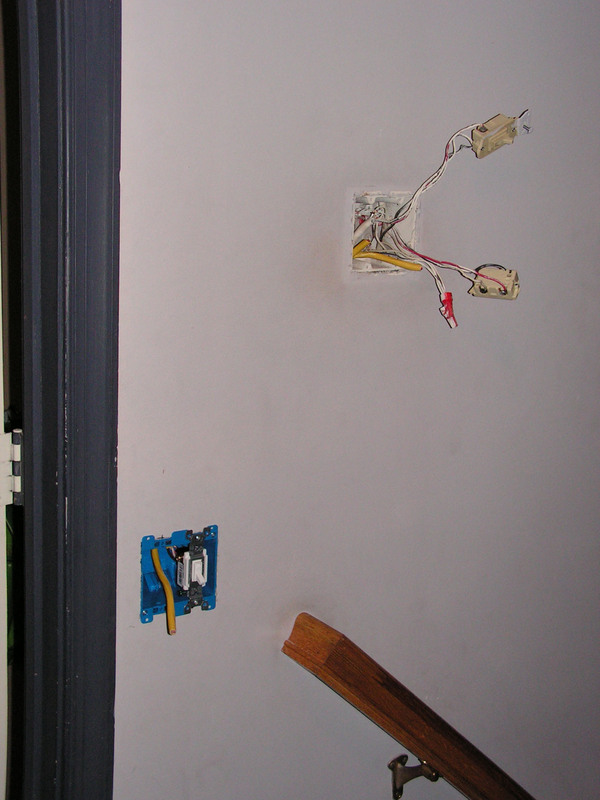 A wall stud was placed horizontal in the wall, preventing me to install the electrical wires in one straight shot. Drilling a hole into this stud is not easily done without replacing part of the wall, which I did not feel like doing, so on the picture at the right you see my solution. 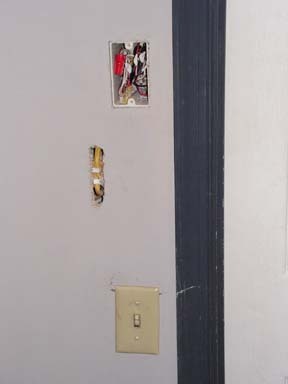 Needles to say I have filled the opening with plaster, so it can not be seen anymore. 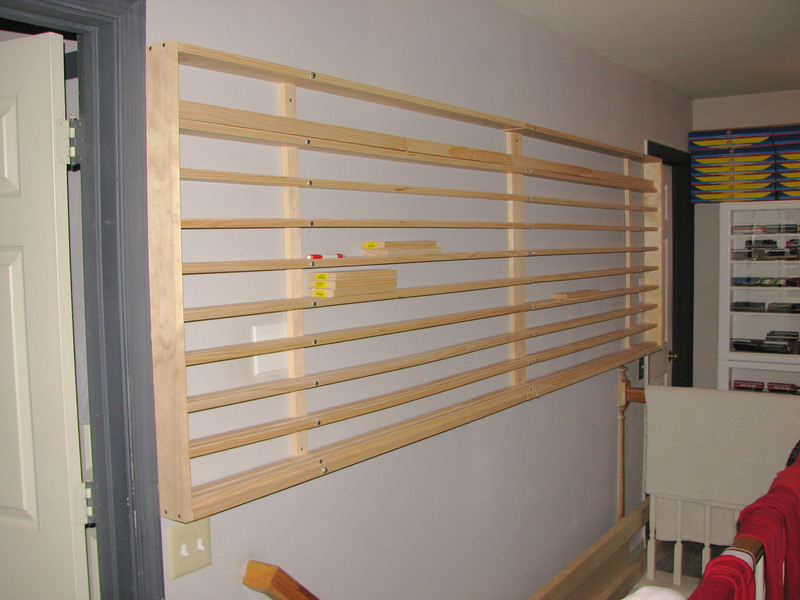 The preparation of the wall is finished and I can start the actual construction of the display case. 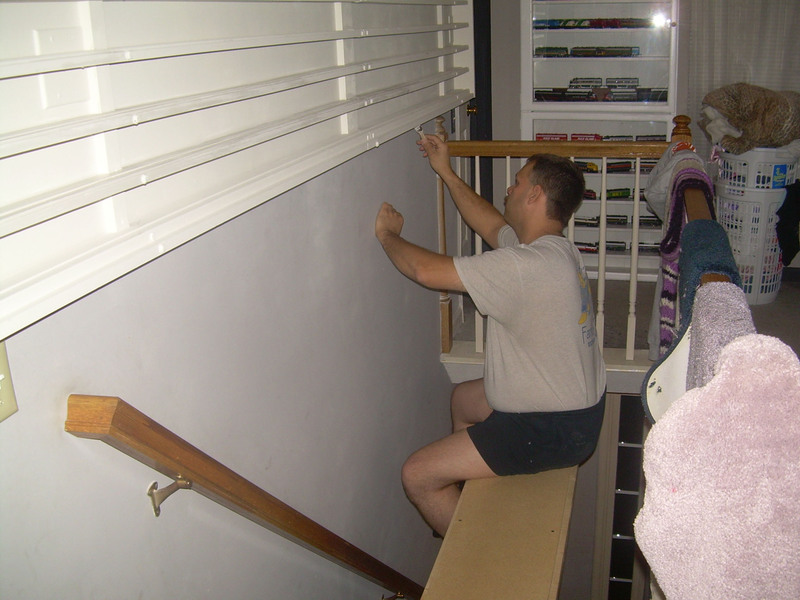 After locating two wall studs I placed two supports on the wall on which I temporary positioned the bottom shelve. 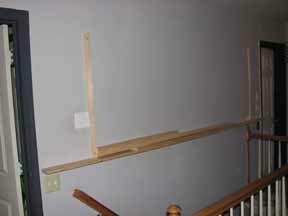 I used this bottom shelve as a reference to build the entire display case up on the wall. First I made the outside frame and later it was time for the shelves on the inside. 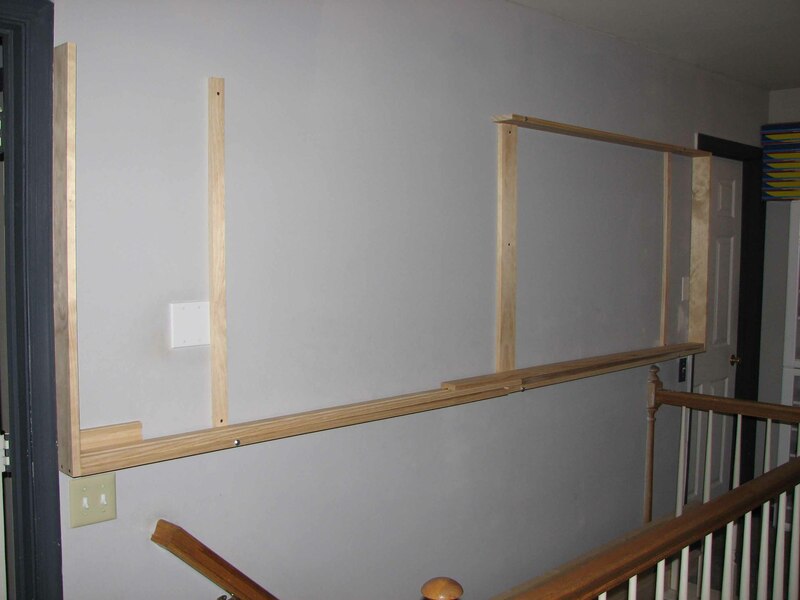 The three vertical supports hold the shelves within the frame in equal space, and do not carry the weight of the display case. 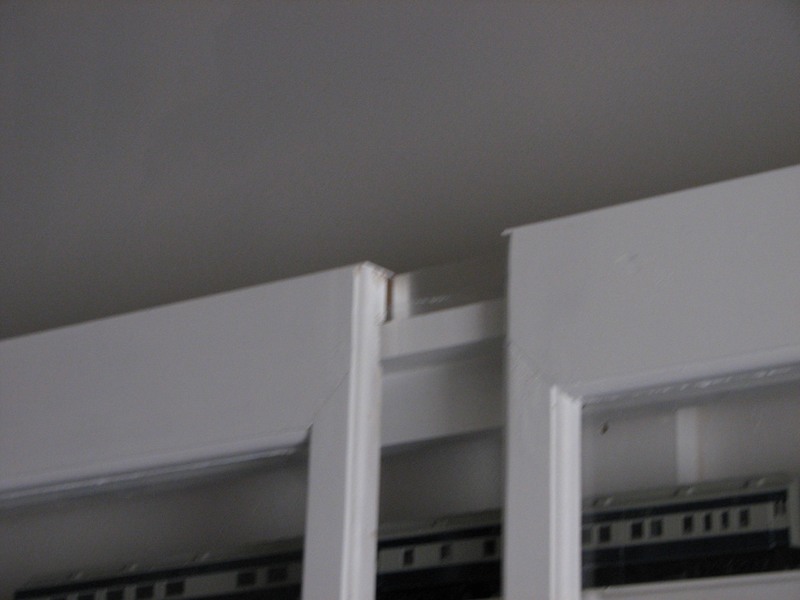 Besides mounting the shelves in place the supports also keep the shelves straight in line and prevent the shelves from warping. The two bolts in a shelve are going trough the supports into the wall studs and act like a pivot point. After all the shelves are mounted and all work inside the display case was finished, I removed the shelves to be able to paint the wall a nice solid white color as a background. When the wall was painted I reinstalled the shelves and painted them gloss white. 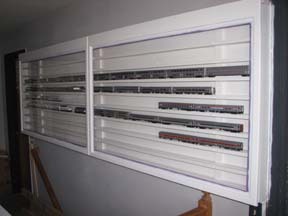 A freshly painted, shiny white display case is a fact. Now I can start building the windows. 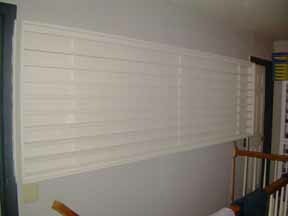 Because of the large size of the windows, and commercially available plastic glass, I decided to make two windows. 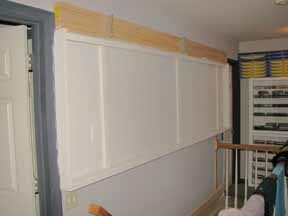 The two window frames, at the moment without glass, are hanging in place. 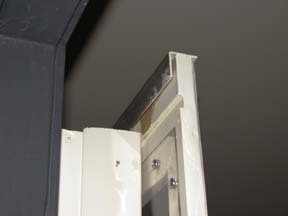 Instead of using hinges to open the windows, I use an aluminum angle mounted on top of the display case. 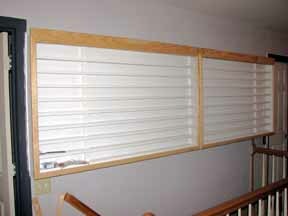 The same aluminum angle is also placed on top of the windows, out of side, which allows the windows to hang in place. 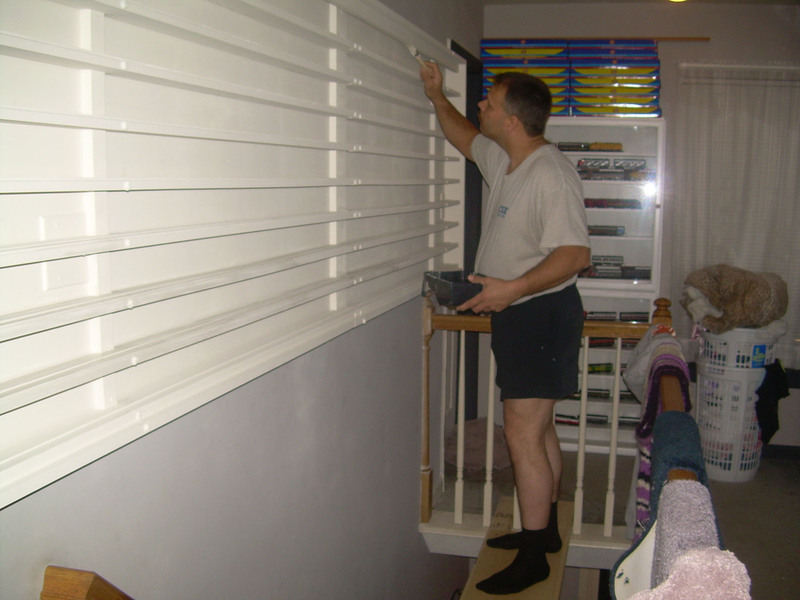 Here the windows are painted and the plastic is glass installed. 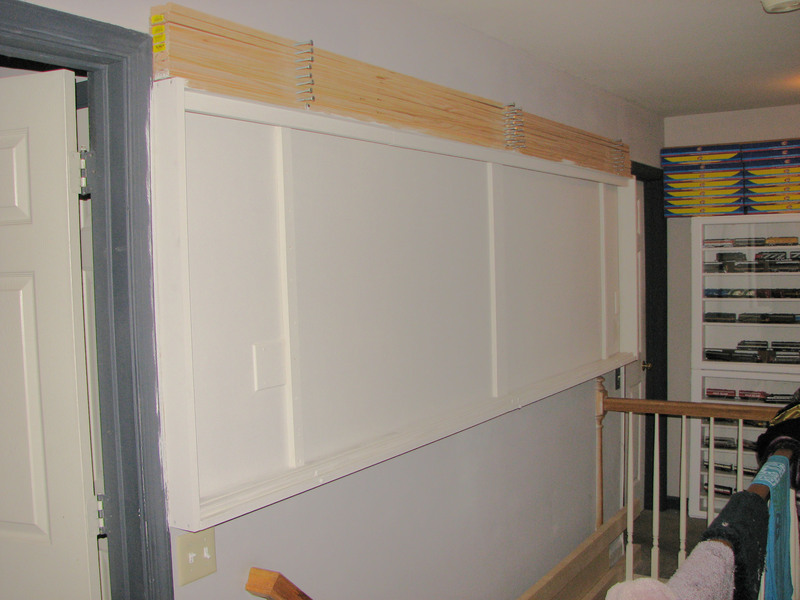 Magnets still need to be placed on the bottom, to keep the windows tight to the frame. These two pictures at the left and right show the aluminum channels, that hold the windows in place. To safe money on track, I milled 16 millimeter grooves in the shelves, allowing the trains wheels to fit and stay in place, and also being able to roll. On this picture you see a cross section, photographed from a piece left over. Mission accomplice. 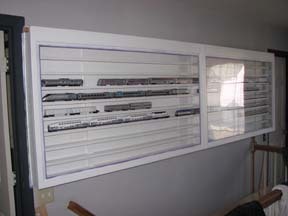 A large display case with enough space to display long trains. 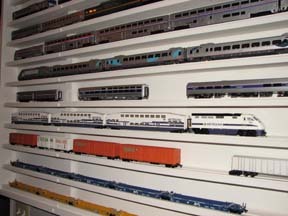 My American passenger trains and intermodal "piggybacks" in full display. 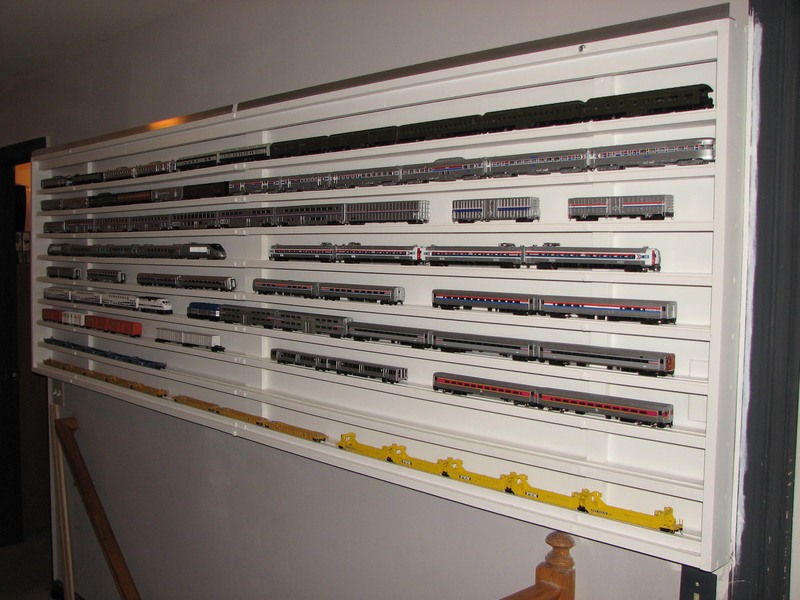 Although the display is filled with trains, there is still some more work to do. 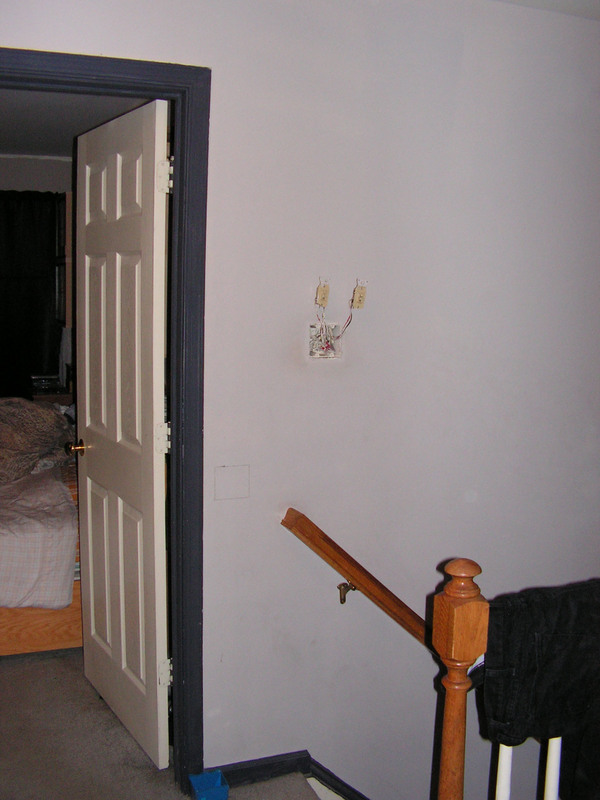 Mostly small details like painting door trims, adding door knobs and an molding to match the other display cases in the room.